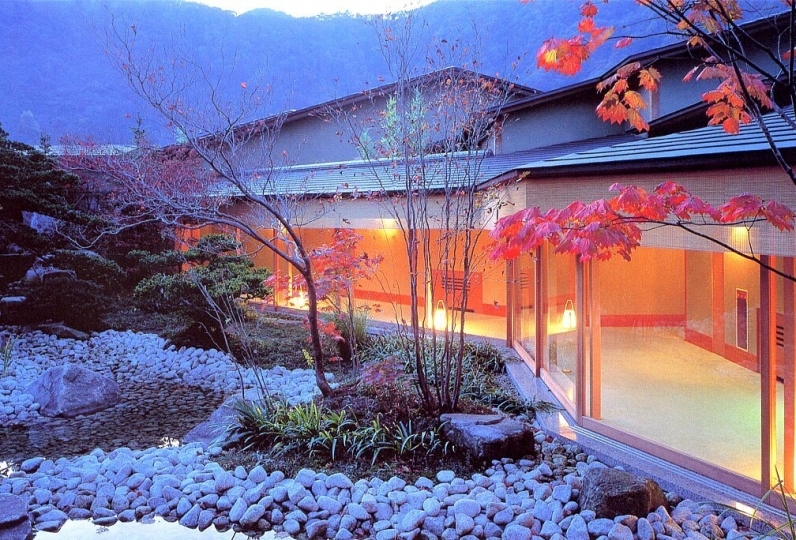 Konjakutei is a beautiful hideaway of Higashiyama Onsen. Take a deep breath in the depth of Aizu Wakamatsu and enjoy the liberating feeling of Aizu's seasons. Soft sunshine through the greenery of the forests invites you to this relaxing hideaway. With the song of the birds and the sound of the stream, immerse yourself within the changing seasons with your special someone. You can enjoy a completely private time here. Rinse away the daily fatigue with good quality spring water from the sourced hot spring. 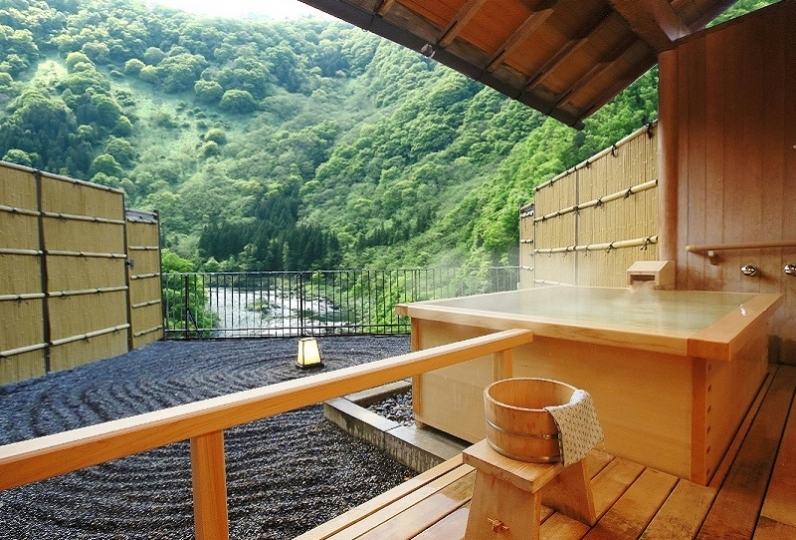 The water is also known to be beneficial to the skin as it is an authentic hot spring. After you have bathed, enjoy a Japanese kaiseki cuisine made by our skillful chefs. Using seasonal ingredients as well as local ingredients, the chefs put great work into each dish. You will be able to enjoy the seasonal flavors with your eyes and mouth. Our greatest charm is our hospitality. We will greet you and send you off with our warm hospitality. Mr. H in charge of the room became indebted. We also took care of the staff of the hotel. Thank you for your hospitable hospitality. The bath of the room was wonderful and used hot water many times many times. Cooking was also delicious received delicious items of unique time at this time, it was delicious! I will ask again if there is a chance. Selection of this lodging had a history, and because it was a reasonable reputation, I thought that if I traveled alone with my grandmother, I could do it slowly. But I received a response that was betrayed spectacularly. There is no correspondence when arriving at the car, front receptionist and room guide are also kept waiting. Even if you arrive at the room Nakai will not come, even if you contact the ladies again at the time of prior confirmation Yukata mistaken for men and women, room number and key entry number are different, even if going to Yukata exchange will not return back to middle, To other customers we had a women's patterned yukata guidance, but we have no guide, no yukata wearing in the room, guidance on the room, yukata in the room worn out with wrinkles, plural bugs in the room, shoes replaced after accounting prepare shoes None. This is the first time for bad correspondence. Although it is a high season, it is only getting annoyed if it is good with this amount setting. I will never go. I will not recommend it. It was disappointing that we shielded the scenery with a shoji for the occurrence of a stink bug, but it is inevitable because it is about nature ... people at the facility are very good feeling, to Mr. Harutaki next door Thank you for taking the time to express your car to the hot springs. It was a triple trip with my friend, but it was a good memory. The dining location will either be at the room or a private room at the dining area. Depending on the day and number of people, meals will be prepared in the private room at the dining area. ※Please note that you will not be able to specify. 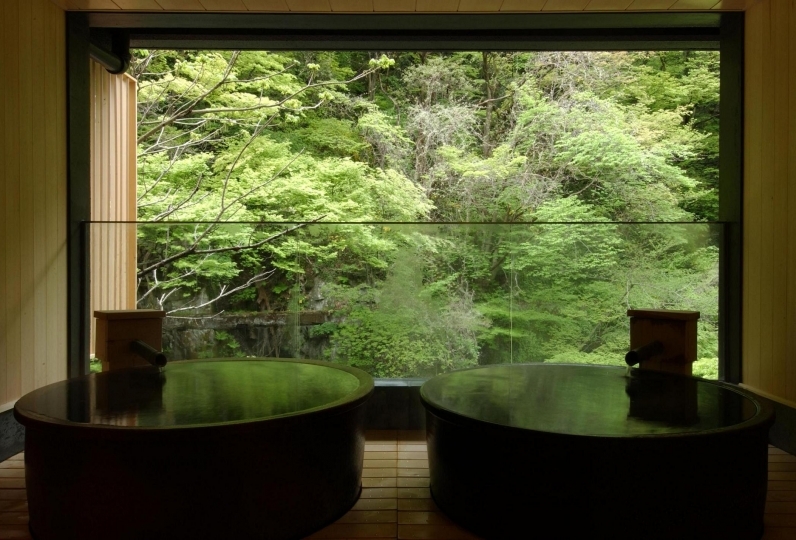 The indoor bath is overflowing with hot spring from its own personal source. For you to enjoy the authentic hot spring, we try to keep it as natural as possible and make sure that the bathtub is not too big. 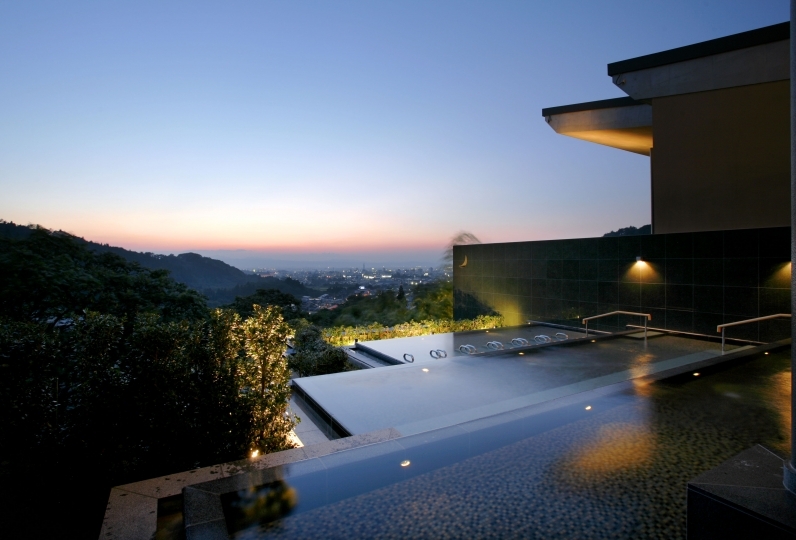 The open-air bath, observational bath, and hot spring equipped guest rooms are all free-flowing hot spring water. We also recommend the open-air bath, public bath, and private observational bath (fee required) from our sister inn, which is a 3~4 minute walk from our inn. Kawadoko is an outdoor dining located at the waterfront with 108 seats. Surrounded by trees, you can have a refreshing moment in the afternoon or a gloomy atmosphere at night. Enjoy lunch surrounded by trees. ※ Please inform us of the age of your child on reservation. ※Pick-up service available between Higashiyama Onsen bus terminal and the hotel. Please contact us by phone.